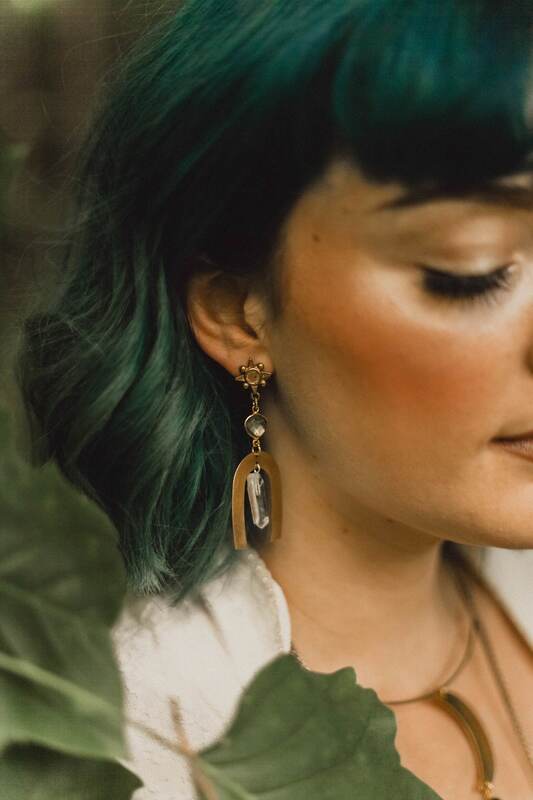 The Asherah Earrings are part of The Gypsy Fawn’s first bridal collection. The earrings are named after the ancient Semitic mother goddess. 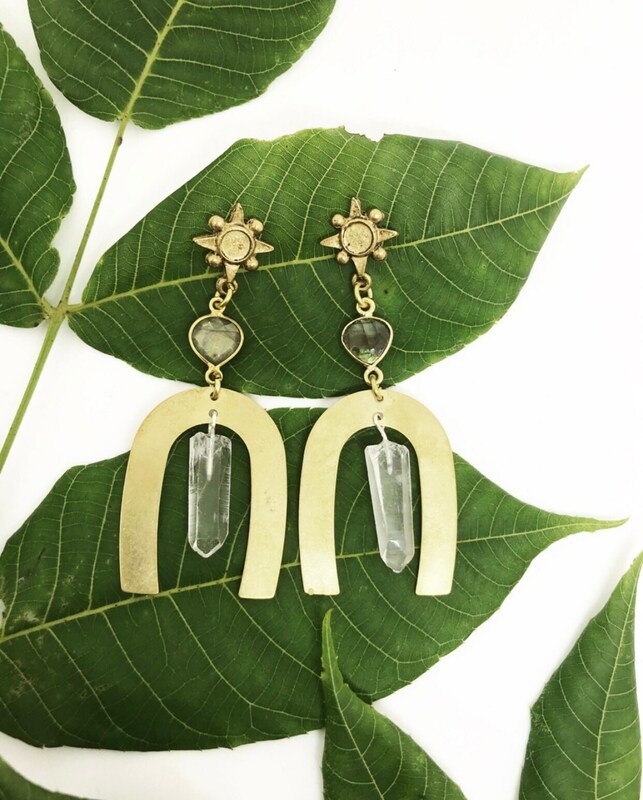 The Asherah Earrings feature quartz crystals, which are amplifying stones of protection. They also feature labradorite, which is said to promote clairvoyance. 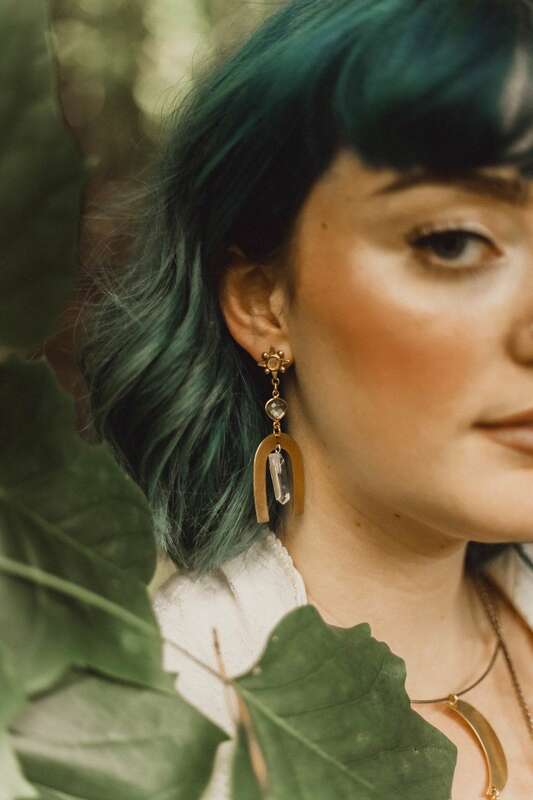 The ear studs have stainless steel posts, and the stars are casted base with an antique gold plating. The earrings measure 2.5 inches long and are lightweight.